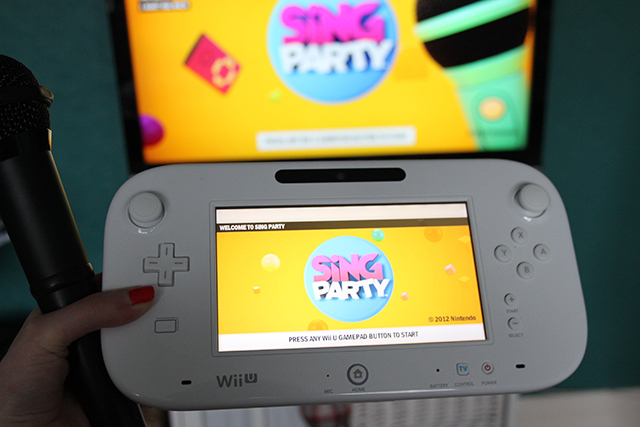 A few weeks ago I was very lucky to be asked to review the new Sing Party game for WiiU. 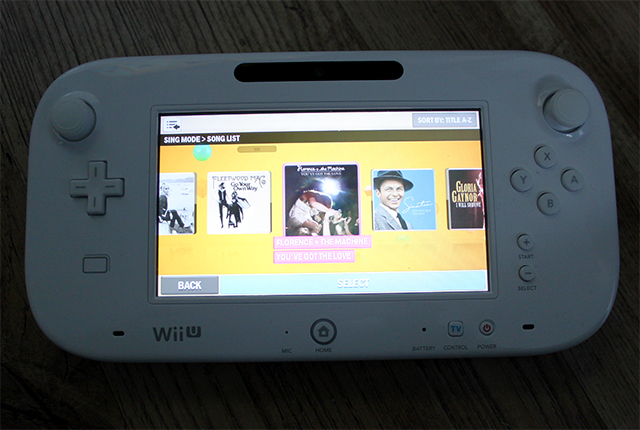 Recently Dan got the WiiU console so I jumped at the chance to give this a whirl, being a closet Mariah Carey wannabe and all. I’ve got 2 versions of Singstar on the PS3 so would say I’ve got pretty good knowledge on these kind of games, so was keen to see how this compared to those. As soon as it arrived I popped the disk in and gave it a go. In the game package you get the disk itself, a microphone and user manual, all packed up nicely in the dinky little box. The instructions were easy to follow and it was pretty straight forward to set up. The only thing I would say is that there isn’t a full track list on the packaging anywhere, so I had to do a google search beforehand to see what was on there, but that’s just a minor detail in the grand scheme of things. After a quick and simple set up I was ready to play the game, but I must admit I was a little unsure as to how this would work and where the gamepad would come in to the game itself. It all became clear though, as this is how you control which mode you want to play in, which song to sing and lots more. I have played two of the three modes so far, which are Party Mode and Sing Mode (the third being Team Mode). Sing mode is my favourite, and is where you literally pick up the mic and sing to score points based on the notes you hit etc. You can add players into this if you have more mics, and do duets together in this mode which I think is a really nice little extra. I’ve got a little obsessed with singing the same thing over and over again to try and beat my previous score. In the mode there are also challenges to beat where you earn points if you score above a certain level, or sing a certain set of songs in a row, which adds a little more interest to the game. 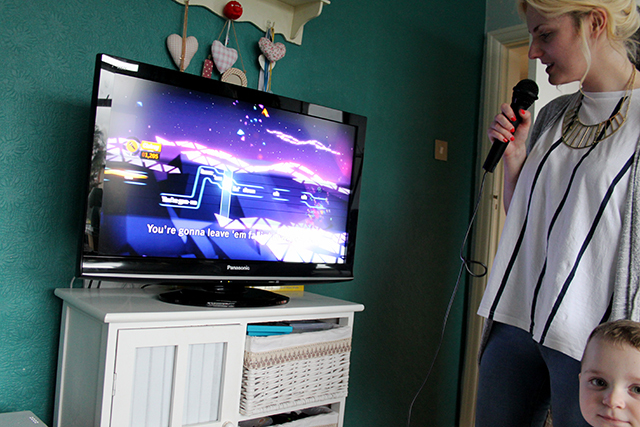 Party Mode went down extremely well with my family who were VERY excited to play Sing Party at a family gathering. Personally this isn’t my favourite mode as I wasn’t keen on the setup of it, but still it is a great way of getting people involved. 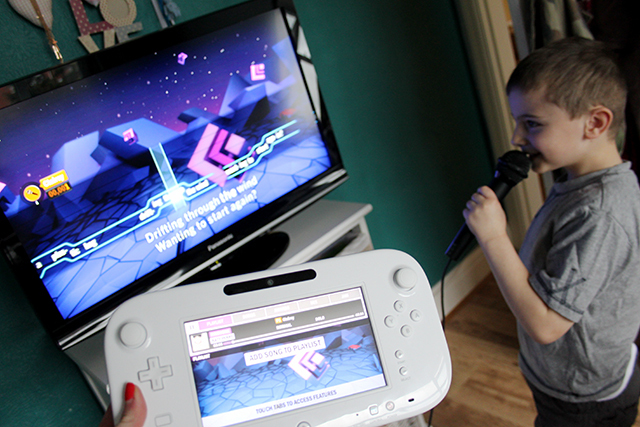 The game play on this mode is a little different, as the lyrics come up on the gamepad rather than the TV screen, which can be a little difficult when holding the mic in one hand and that in the other. 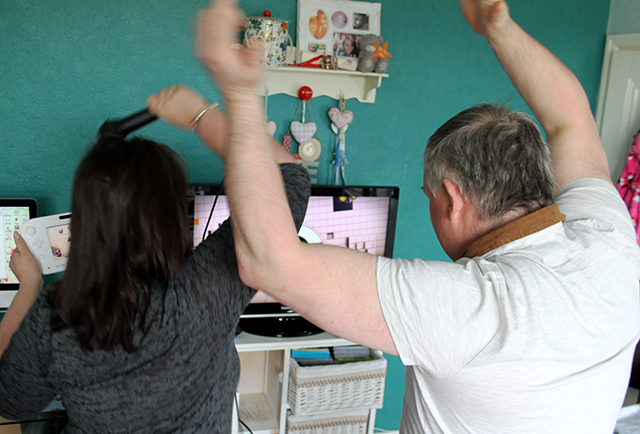 There are then backing lyrics and dance moves displayed on the TV screen for the rest of the party to take part in, which was a big hit with the family members who wanted to get in on the action! Another thing I loved about this game was the track selection. 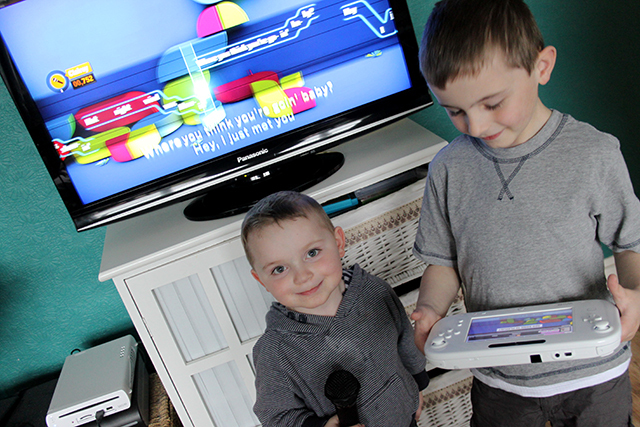 Sometimes on these kind of games you tend to get a few hits and then songs that no one really knows, but Sing Party has a good selection of old and new, definitely aimed at a family of all ages. You will find everything from Frank Sinatra and The Beach Boys to Lady Gaga and Florence and The Machine. There’s also a good dose of cheese for the kids (and me after a couple of drinks….) in the form of Justin Bieber and Carly Rae Jepson! Overall I think this game is brilliant for family get togethers or a night in with friends, whatever your age. It would be brilliant for a kid’s sleepover, and just as good for a Girl’s Night In. Although the song range is good, I would like to see more variety, maybe more current stuff from a wider range of genres, but that’s just my personal taste. I like a good power ballad or some R&B that I can warbel along to, which this game is lacking a little, but this is designed for a party and I’m sure that would probably dampen people’s spirits! It would be great to see some add ons or downloadable tracks for this, or even other versions of the game catering for different styles of music to reach an even wider audience. In terms of usability this is incredibly simple to get to grips with and even my little nieces and nephews knew what they were doing straight away. It’s a great game for getting the family involved what with the different player modes, and will be a sure fire hit at any party. I can see this becoming a bit of a tradition in my household! 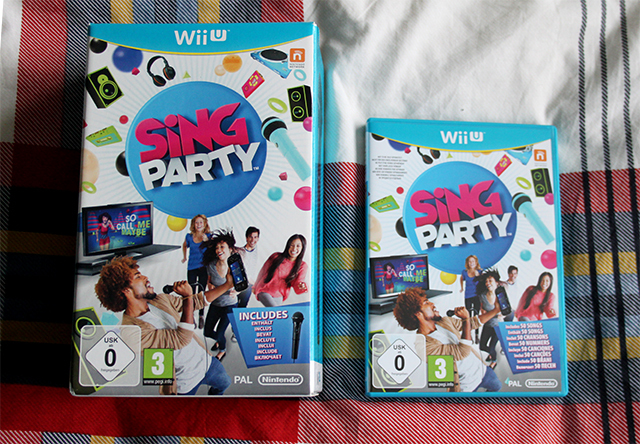 Disclaimer: The Sing Party game was gifted to me for review purposes. All views above are my own and 100% honest.